In her role at John Appleyard Dental, Tania enjoys helping patients achieve and maintain exceptional oral health. She also finds it fulfilling to help patients overcome their fears of the dentist. Tania has a Certificate III in Dental Assisting and a Certificate IV in Allied Health Assistance . When she’s not working, Tania enjoys yoga and Pilates and spending time at home with her family. In her role at the practice, Sharon loves being on the desk talking to patients. She enjoys helping them with anything they may require before and after their visit. 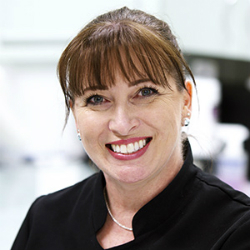 A 1996 graduate of RMIT Melbourne, Sharon possesses a Certificate III in Dental Assisting. She has worked in the dental industry for more than 20 years and gradually moved to the front desk from surgery. When she’s not at work, Sharon enjoys spending time with her kids, relaxing and enjoying the outdoors. Madison has just completed year 12 and has jumped straight into full time work as our newest member of the team. While working she will be undertaking her Certificate 3 in Dental Assisting. When not at work Madison enjoys spending time with her family and friends.